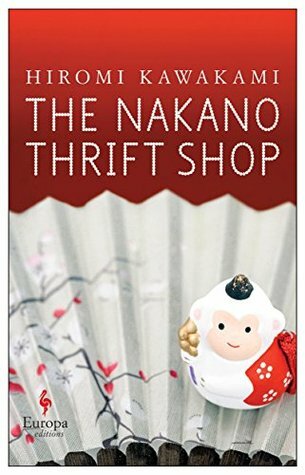 Today I'm featuring an upcoming read, The Nakano Thrift Shop by Hiromi Kawakami (translated by Allison Markin Powell). The excerpts shared are from a library copy. You know what I mean? Mr. Nakano had a habit of saying this. I was caught off guard when he said abruptly, "You know what I mean--pass me that soy sauce pourer." Page 56: "'This was what made love so difficult. Or rather, the difficult thing was first determining whether or not love was what I wanted." My thoughts: I was drawn to this book by its cheerful cover and book trailer and look forward to starting it soon. From Goodreads: From the author of Strange Weather in Tokyo comes this funny, heartwarming story about love, life, and human relationships that features a delightfully offbeat cast of characters.